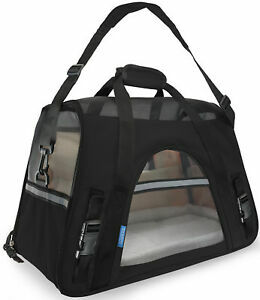 This OxGord soft-sided travel pet carrier makes it easier for you and safer for your pets when you fly. The product has a sleek black look, and at just 1.45 pounds, it’s easy to tote. The liner is made of cotton designed to be soft and comfortable for your pet. It is also approved for use by all airlines. There are 544 items available. Please enter a number less than or equal to 544.